As a real estate agent, your job is (mostly) done once you’ve brought the deal together. You turn in the paperwork and turn your attention to the next deal on your agenda, hopeful no title bumps or other glitches will crop up on the road to closing. Who is the title agent on the receiving end of all that paperwork? What does he or she do, and what are the chances a cloud will turn up to rain all over your transaction? As you already know in a general sense, your title partner oversees various aspects of the closing process, performing title searches, preparing the title insurance and loan documents, sometimes witnessing the document signings, and making sure that the deal you brought together is executed properly and legally. Your title partner is the gate keeper of your transaction. Whatever their title, based on the state you work in, they are in every sense your transaction partner. In most cases, they have completed training and and/or earned certification. At the least, they have prior experience with escalating responsibility. Working mostly behind the scenes, they search the public records, work to clear clouds on title, keep records for audit and insurance purposes, hold and disperse funds, work with the lender to get documents ready, write and release the title insurance policy, and sometimes sit in at closing or settlement. As your title partner, we are committed to fulfilling all these tasks efficiently. As a real estate agent, you can assist in the effort by keeping us informed of any new circumstance in your transaction; a bankruptcy, a change in the client’s marital status, a disputed lien against the property. 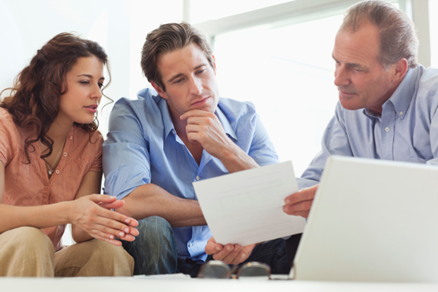 If you are unsure how your information may affect the transaction, call your title partner for clarification. Choosing a trusted title partner and working together to resolve any issues can be an agent’s best protection against a deal gone awry.